Rated 5 out of 5 by smileycup from Royal Envoy Excellent game. Couldn't wait for the second one. Now I can't wait for the third one! Rated 5 out of 5 by NateB_476 from Addicting Great game could not stop playing once I got started. I wish there were more games like this one!!! Rated 5 out of 5 by mtozier from Great Game I love all of the Royal Envoys. I cant wait for a new one to come out. Rated 5 out of 5 by notdeadyet from I am surprised that I like this game this much. The graphics are good but seem to be suitable for a child's game. The simple plot would be suitable for that as well. However the strategy and time management required suits adults as well. It has enough strategy to keep you entertained but not so much that you are constantly referring to a walk through. I usually can't do time management games due to arthritis in my hands. I know what to do but can't do it fast enough. I don't have that problem with this game.The game is nice and long as well. Rated 5 out of 5 by hellavagamer from Fun time management I've played a lot of these types of games, and I really like this one. It has a lot of levels so you won't finish in a day. There are some levels that really tricky. Some I can't solve (can't be bothered with walkthroughs). Worth the money, this one is! Have fun and enjoy! PS I've bought a lot of games but this is the first one I've taken the time to write a review on. Rated 5 out of 5 by swampfinder from Extreme fun game An incredible amount of levels offering increased challenges. This and Envoy II can't be beat. Rated 5 out of 5 by TMaddict from One of the Best I absolutely love this game. The game play is excellent and has sufficient challenges. The graphics are beautiful and the characters are amusing. One of my favourites. Rated 5 out of 5 by Pipnas from One of the best TM games Nice grafiks and a good story. The difficulty progresses, but it is definetly possible to get gold on every level. Great fun, but be careful......its addictive. Rated 5 out of 5 by mozzimac from great game This is a great game, you can play right through the levels and then go back again to 'max out' on the ones you took a bit long to complete - lots of play value and one I will come back to again and again! Rated 5 out of 5 by FrederFrederson from Best of Breed in the town-building genre Great graphics, story and gameplay, with an element of whimsey that most of these sort of games don't have. A very good value for the money. Rated 5 out of 5 by Scarlitlake from This is the best! This was the first time management game I played and I still think it's the best. Rated 5 out of 5 by brookings from great game This game has many levels. If you complete the level in the amount of time you get a gold star. If not, you can go back and try again. With this game, you have to think it through before you start as to your stragedy. I have played this game over and over. After you complete all the levels with all gold, you then go on to play a more difficult version of the same levels. 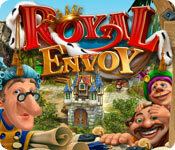 Rated 5 out of 5 by Maven from Time Management + Strategy = Fun Royal Envoy is more than just a time management game. 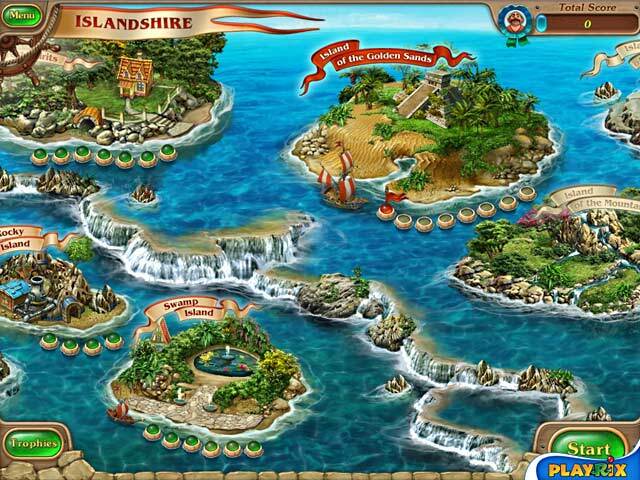 Each level requires a strategy if you want to finish within the allotted time. 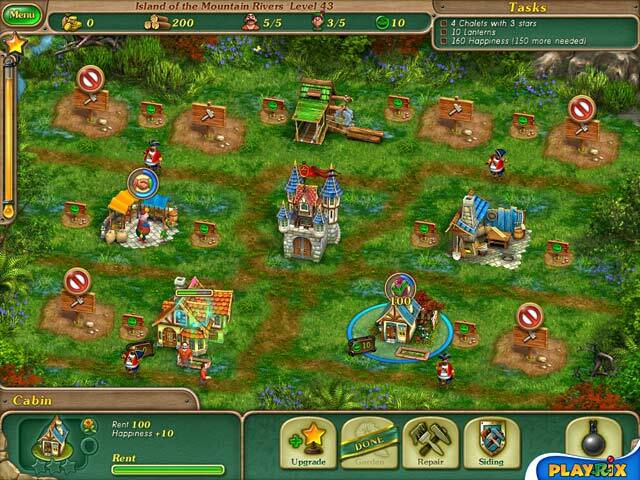 Basic play is building and improving structures on several islands in a Kingdom. These include various houses, as well as banks, markets, and construction mills. Player has resources (like gold and materials) and people (like workers and tax collectors) to accomplish the tasks of each level. 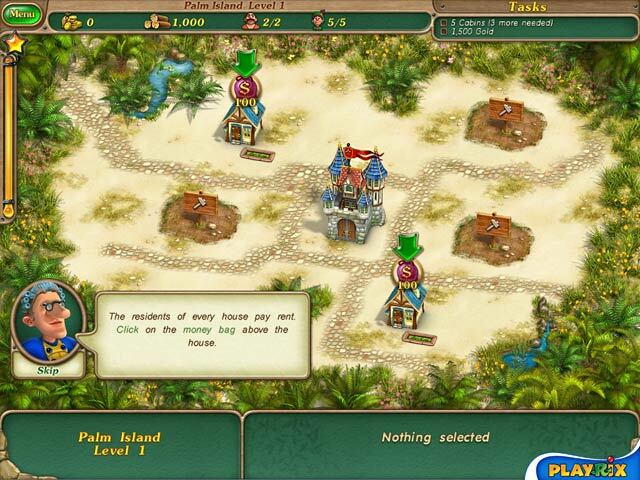 After the initial levels, which are relatively easy to complete, the game adds Pirates who must be bribed, obstacles to overcome, and Happiness requirements for the residents. There are 68 levels in the game. My experience with this game was excellent. Challenging without being frustrating. The game allows you to reset a level if your strategy proves to be totally off. Awards can be achieved for completing all levels on an island within the "golden time" (if you care). This game has high replay-ability. Put it away for a month or two and the tasks of each level will seem new. Rated 5 out of 5 by Dark_topaz from One of my favorite time managment games engaging and fun, with just enough challenge to keep my interest. Rated 4 out of 5 by Flyingskull from Very pleasant build-a-town game Best features: graphics, animation and voices are excellent; iy has a story which progresses nicely and is wittily comical; gameplay is efficient and the difficulty increase through the levels is steady and interesting. There are, however, two problems: the music is very annoying as it consists of a brief jingle repeated throughout the game with only one variation for the spoken parts, I can only play it by muting it; the time constraints don't allow for any variation in problem solving which makes it not very enjoyable to replay it. It's best played in short bursts followed by long intervals, so it doesn't pall. Rated 3 out of 5 by rainice from Discouraged I have done a few of the build and re store games lately and enjoyed them. This one though I can't get the hang of. I don't expect to get gold on any level. I'm slow. That's reality. But even when I use the walkthrough I take at least twice as long. Without, many times that. I'll finish the game only because I don't want to have wasted my money. I don't mind being slow but this is really bad. I really prefer when there is a straight relaxed mode with no sight of any kind of timer. I'll remember that next time.